btw any streaming for today test? Kimi has still not done a timed lap.
" title="ty" /> for the link Momo! I hope, Kimi has a good day today! Hi everybody. 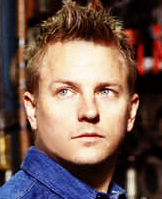 I heard, that there is KimiÂ´s brother and his nephews in Barcelona. Has anyone seen the pictures? Though Kimi is fighting fit, the E21 has a little gearbox sniffle. KimiÂ´s having a quick nap as we apply Vix vapour rub to the box.